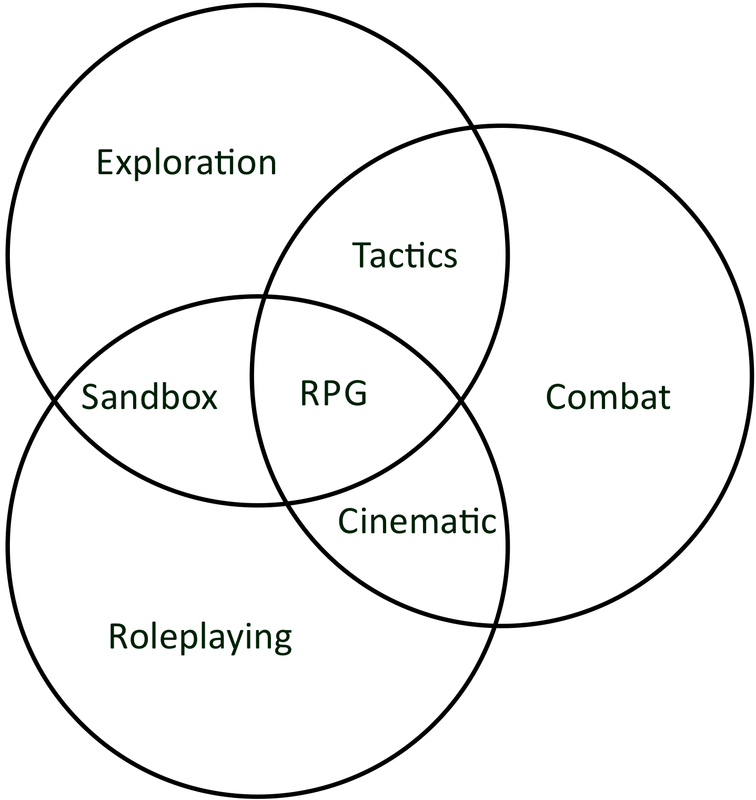 What I find interesting about this is that I tend to think in terms of the three overlapping areas when I consider gaming styles: Sandbox, Tactics, and Cinematic. I could happily play a game that focused 40/40/20 of Sandbox/Cinematic/Tactics. @Cam Yeah, I as I was filling in the overlap sections I had much the same thought. I am already mentally “Tacking” various RPGs onto that diagram. I’ll make a pedantic point and say that WotC views those as the three pillars of D&D, not of RPGs in general. @cam and @rob: Me three. It makes sense why we make/play the kind of games we make/play, eh? Although I’d probably change Tactics to “Problem-Solving” myself. 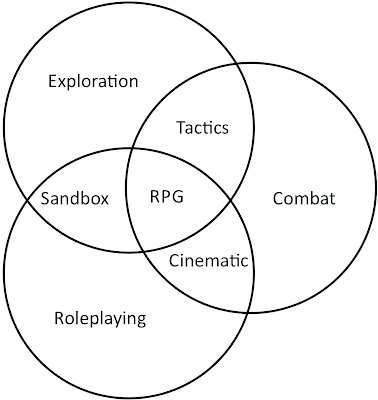 If we’re talking the OSR sandbox definitions, I don’t see roleplaying as being a key element. 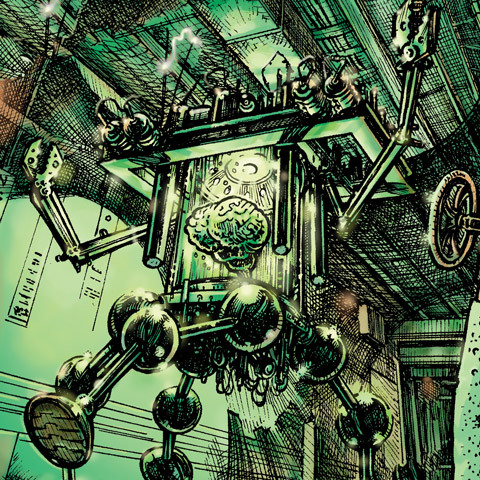 The idea that players decide where they go, yeah, that’s absolutely exploration, but you can privilege either combat or roleplaying within that. Non-D&D sandboxes might be another issue. Likewise I’m wondering what’s actually tactical about exploration. Tactics seems to live firmly inside combat, no? Which leaves me thinking that in the D&D context Combat is very well supported, Exploration is reasonably well supported, but Roleplay is not well supported at all. That matches the degree of mechanical support available for sure. I consider tactics to require an element of exploration because good tactical play involves setting engagement on a micro rather than macro scale. Without that, it ends up abstract.